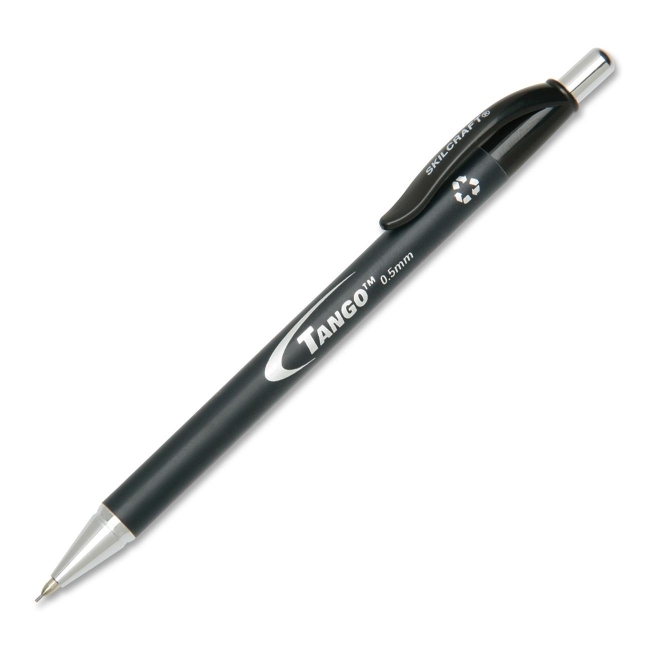 Tango mechanical pencils feature a full rubberized barrel with a push-action mechanism. Retractable, sliding metal sleeve reduces lead breakage. Push-action mechanism advances lead from the metal tip. Eraser with a protective removable cap is included. Mechanical pencils are made using 68 percent post-consumer recycled materials by total weight.